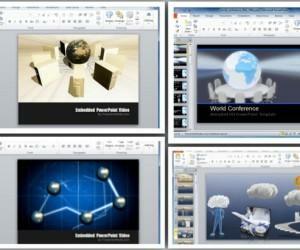 Business and science based presentations both often require the demonstration of different groups working together. 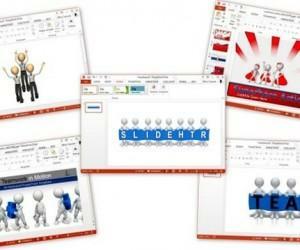 This can be simulated in the form of a network for easy comprehension by the audience, using appropriate templates. 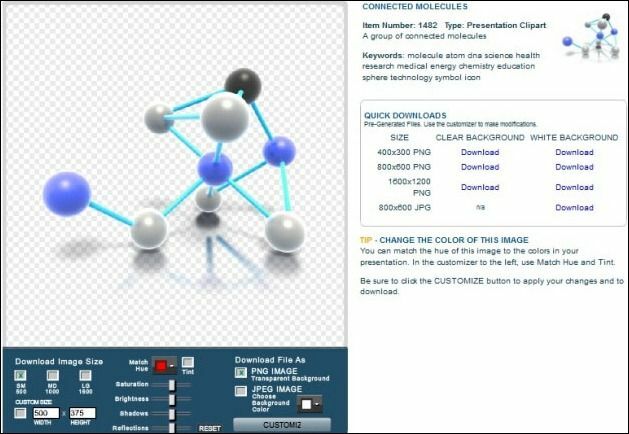 The below templates show a network of connected molecules, which can be used for different presentation topics for both professional and academic purposes. 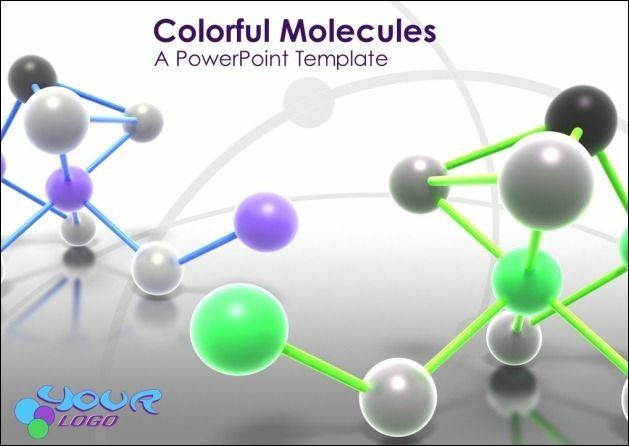 The Colorful Molecules PowerPoint Template is an Animated Template by Presenter Media which is ideal for use in classrooms and even business related presentations. Whether you are a student, teacher of business professional you can use this template to display your data, videos and images with the help of editable slides. 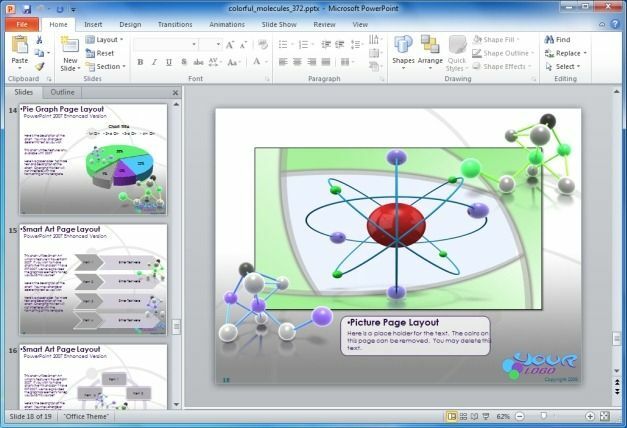 The sample slides in this template can be used for anything from Chemistry or Biology to various other types of subjects such as Computer Networking and Astronomy. 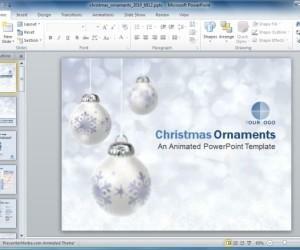 This template comes with different generic slides which can be edited to add your own content, which will seamlessly amalgamate with the objects in the sample slides. 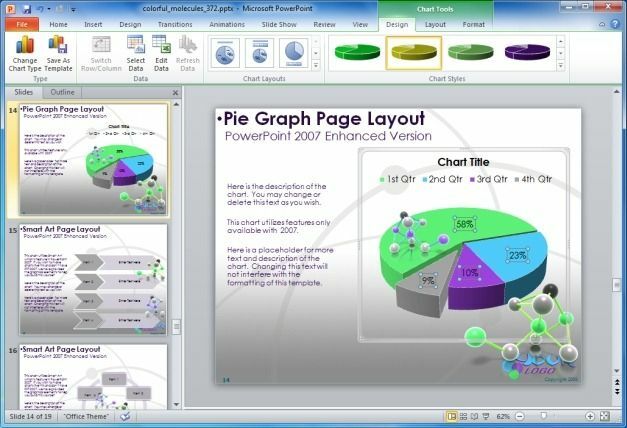 Other than standalone slides, the template also offers various PowerPoint charts and graphs which are easily editable using PowerPoint Chart Tools. 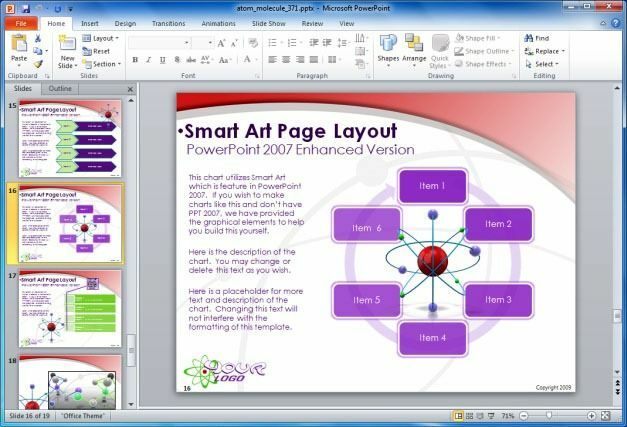 Similarly, you can also use default PowerPoint options to edit the given sample slides and make use of the available clipart, animations, designs, etc. 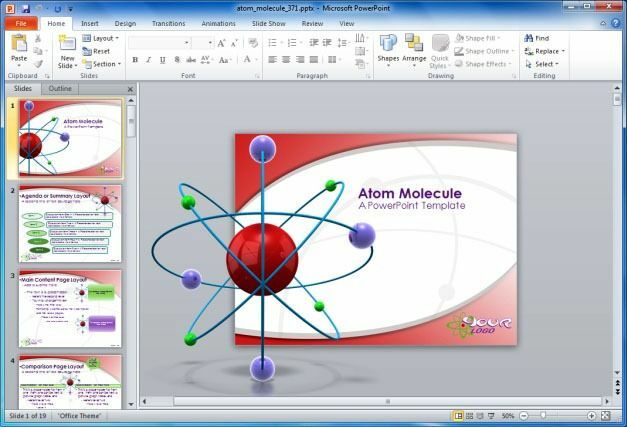 Atom Molecule PowerPoint Template is another professionally made PowerPoint Template by Presenter Media which comes with various colorful sample slides. 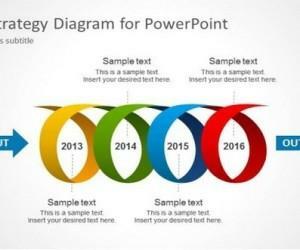 Like the Colorful Molecules PowerPoint Template, this template also provides different types of charts, graphs and SmartArt graphics which can be customized to create visually appealing PowerPoint presentations. 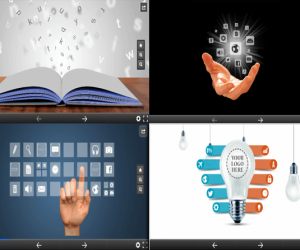 In case you are looking for a standalone clipart for a presentations, then you can customize and download the Connected Molecules Clipart. 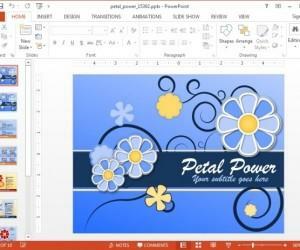 This clipart is available as PNG and JPG. You can download it in different sizes and also change its look before downloading it from the download page.